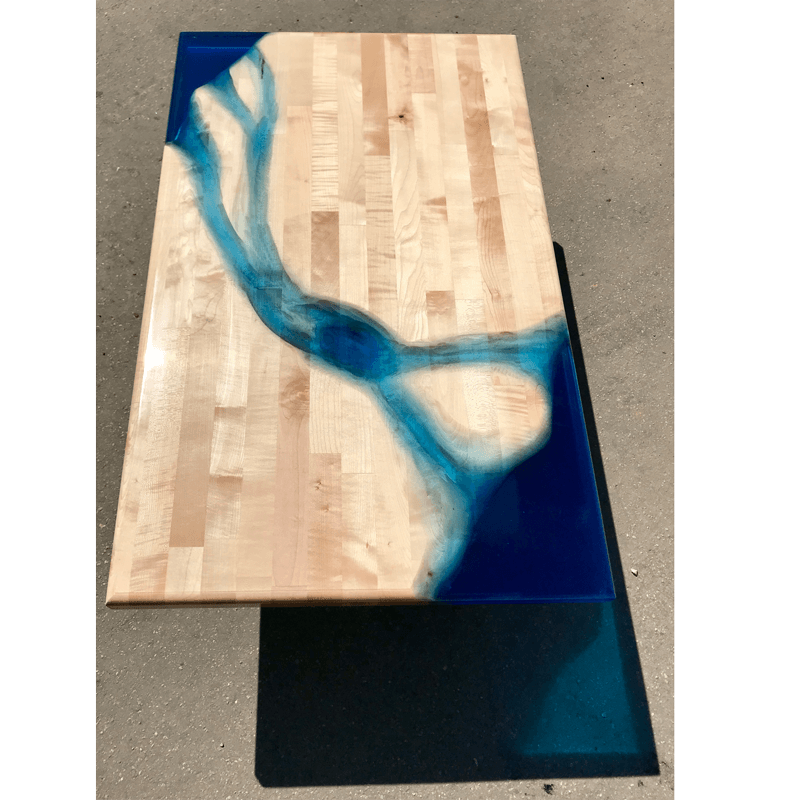 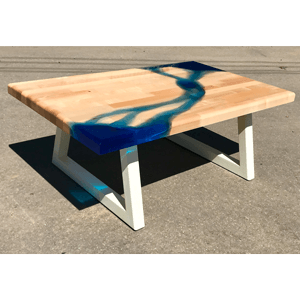 Stunning river coffee table made with solid maple wood and clear blue resin. 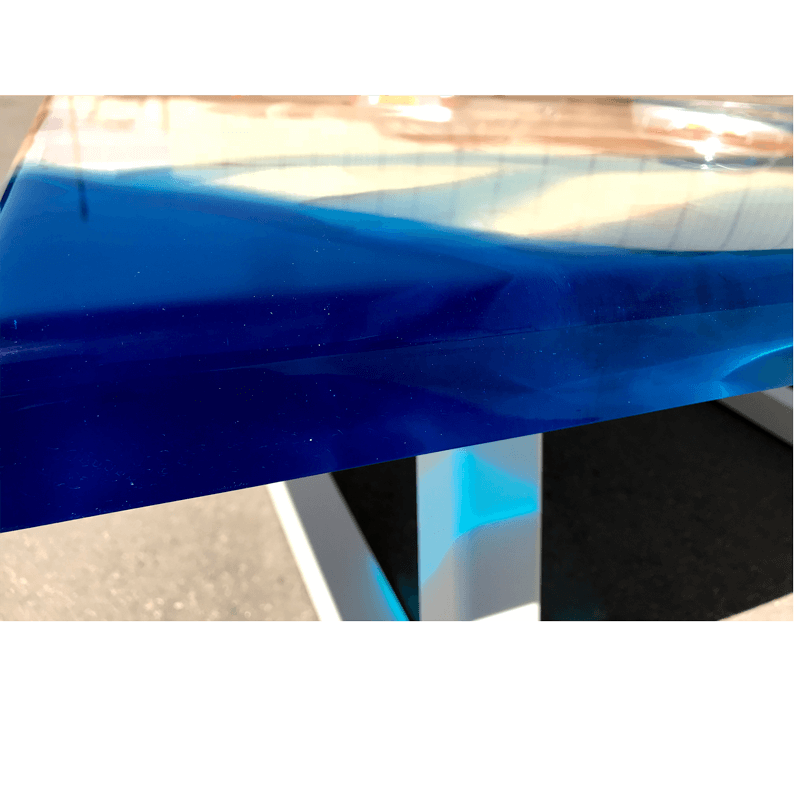 Hand polished to a glass like finish and fitted with handmade white-painted wooden legs. 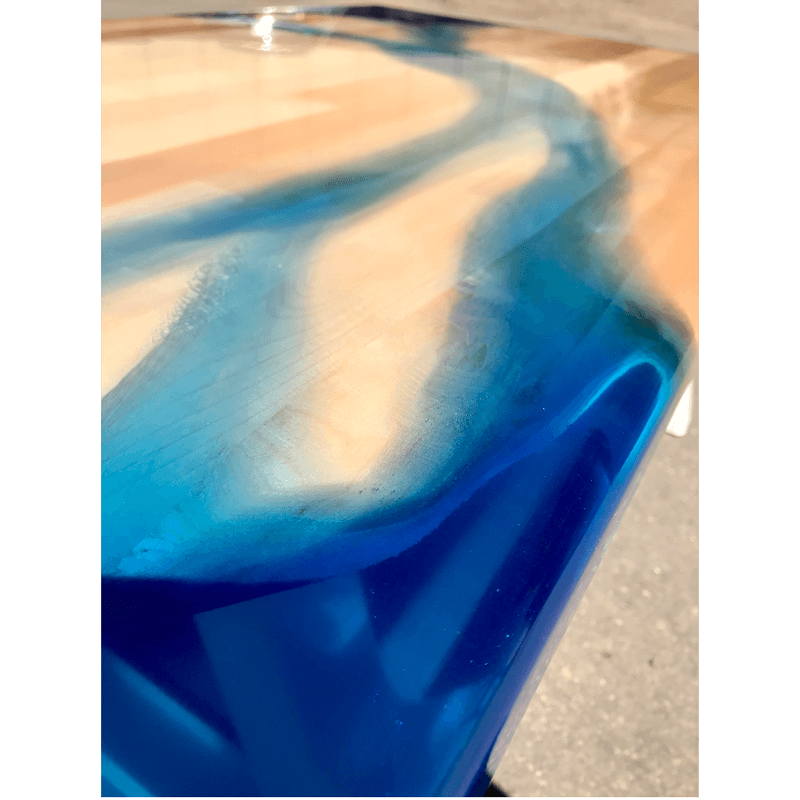 This was a different approach for us as we hand-carved the river through the maple top!